One of the best neutral colors in the world in grey! I just love grey. It's so versatile. If you're like me and wear a lot of black, grey is a welcome change. Or if you are the type who likes to wear bright colors like red, pink or even yellow it compliments them too. I personally love to wear grey and pink together. I don't wear a lot of red but when I see other's wearing grey and red together I always think to myself how well put together it looks. 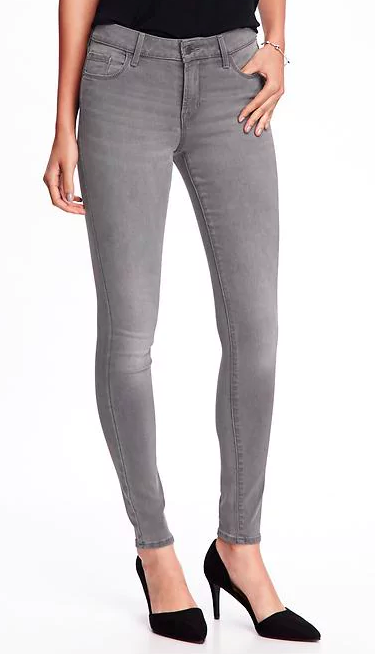 Today I have rounded up some fun grey goodies. Some pieces would compliment any outfit, some pieces are great for a good 2018 workout and some pieces are perfect for a nice beach getaway. I am headed to Florida in February and am already shopping for that trip. I really could use a couple cute cover-ups and of course I always need a new bikini. This pump is beautiful! It comes in several colors including a silver metallic leather that you could say also falls into the grey category. 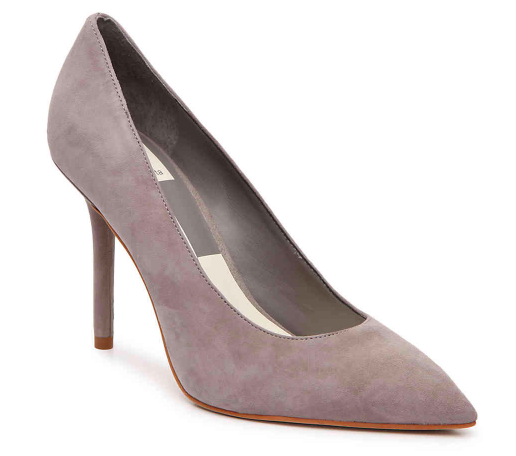 I own a pair of Dolce Vita pumps and they are comfortable and easy to walk in. Ordering from DSW is so easy with free shipping and free returns and anything you buy online you can return in a local store even if they don't carry it. 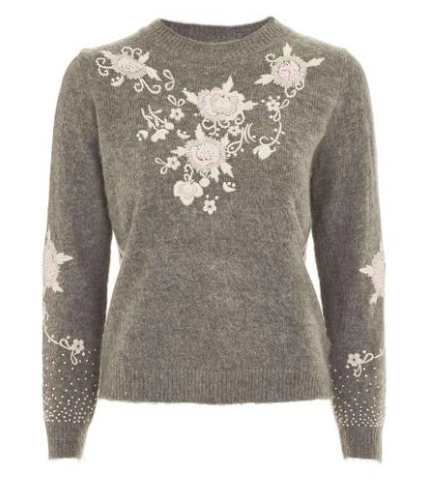 The details on this sweater are softly Spring-like. As if the sweater knows it's only January but is sending out light, positive thoughts willing the arrival of Spring in the way of the embroidered florals. Plus it's on sale, a sale item is always a good idea. on the model on their website. I'm leaning towards a one-piece or two this year. They are so classy and always have the cutest details in their silhouettes. As you know I love stripes but I also like the cute knot detail and the bra snap closure in the back to keep the gils lifted. For $18 it's definitely worth a try. 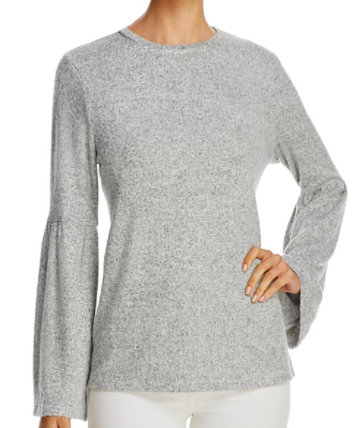 This grey top is perfect for the transition from Spring to Summer or from Summer to Fall. It would look great with white jeans or with shorts. I can not believe it is on sale for $16. Zara has a lot of great sale items right row. The embroidery and sleeves makes it seem a little special but the billowy feel gives it casual vibes that are perfect for a beach date too. 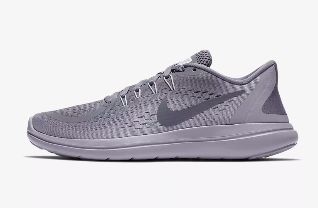 Grey Nike's seem like a no brainer. The cuter the sneaker the more I am motivated to workout and these are not only cute but they are fierce baby! 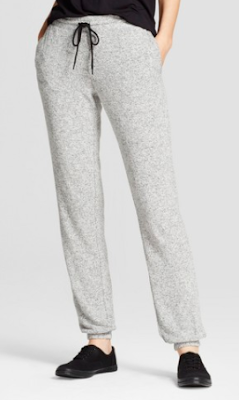 These would look great with fun colored and designed workout leggings and spice up a boring black legging day (which happens to me too often). These sweatpants are the quintessential 'out in public' sweatpants. The waist tie in contrasting black gives them a little edge and they are skinny styled meaning they are tapered and not as baggy. Less hip hop looking more I'm too cool to care about how I look but I really care. I hope that makes sense! I can see these with the above Nike's and any colored sweater or maybe a faux leather moto jacket. For $20 I suggest getting the black color too which has a contrasting white waistband tie. Let's hit the beach! The tassels on this cover-up really show how great grey goes with any color. 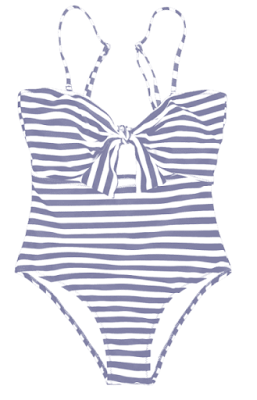 The grey and white stripes would look neutral and soft against any skin color with a little fun color in the tassels. I just love this piece! How cool is the metal piece on the brim of this hat!? 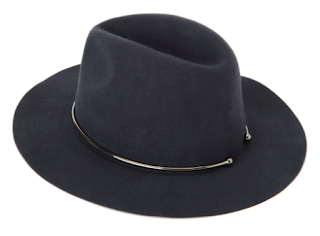 This is the kind of hat you keep forever because it has such a individual look and gorgeous details. The grey in very dark almost black. This sports bra look perfect for yoga or pilates. 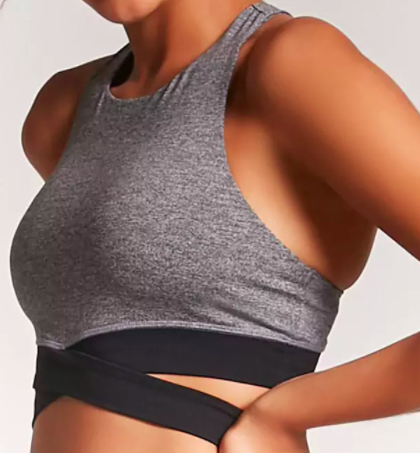 It has high neck, it's supportive and has a funky wrap around detail. Some of the girls in my yoga classes have really cool pieces, this one would fit right in with those girls. If you know me you know I love these Chloe dupe purses that are out there. So many people have them. 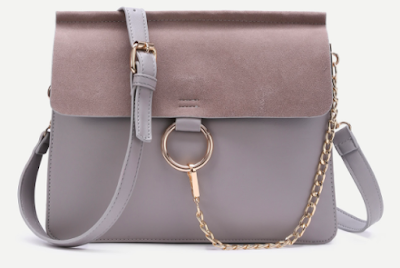 The real Chloe purse in this beautiful, soft grey color is about $1800, I think. It's a fun and pretty accent purse not really for everyday in this size and it is so in style right now you can not beat it for $32, plus it gets great reviews. And or more for good luck and because I could not resist sharing this sale. 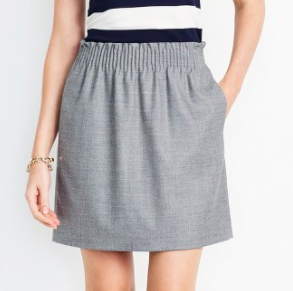 This skirt is from J Crew, was originally $75 and comes in black and tan. And it has an elastic waistband for comfort and pockets for practicality. $20, you're welcome! I hope you enjoyed today's Wishlist Wednesday and my collage. I'm new to Photoshop and basically teaching it to myself but so far I'm liking it. Any input from you guys would be much appreciated! Oh no! I'll have to do a different edit next, hopefully a color you like. I appreciate you reading it anyway, thank you!